It is no secret that I believe children should dress sweet and innocently. After all, they are only children once! But dressing children counter-culturally this way is not always easy to do when most stores don’t cater to that taste. That’s why I love sharing with my readers companies that are making beautiful and timeless children’s clothing and doing it well. Started by two sisters (with seven daughters between them! 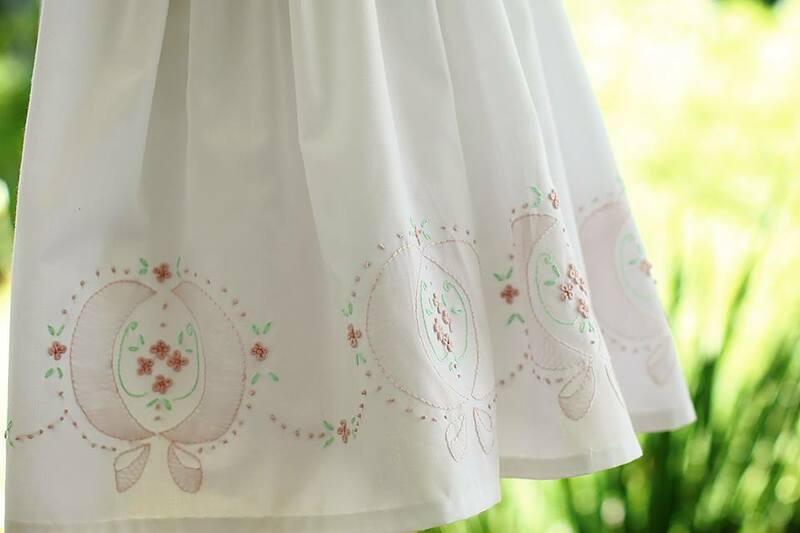 ), The Proper Peony makes simple, yet beautiful, hand-embroidered clothing for young children. 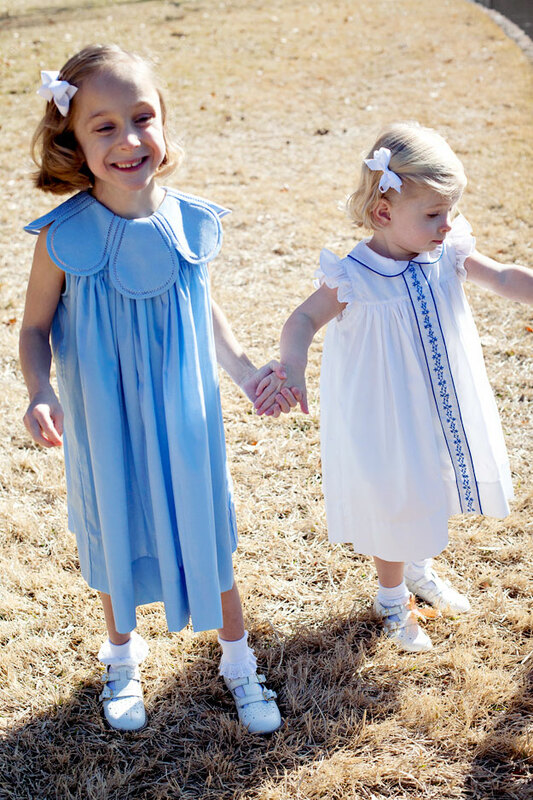 Named after the peonies that grew in their mother’s garden – flowers that bloom year after year and never go out of style – The Proper Peony’s founders set out to design classic children’s clothing with heirloom quality. It’s no surprise when I found out The Proper Peony’s line was inspired by patterns and designs from ages past but with a fresh take on them. 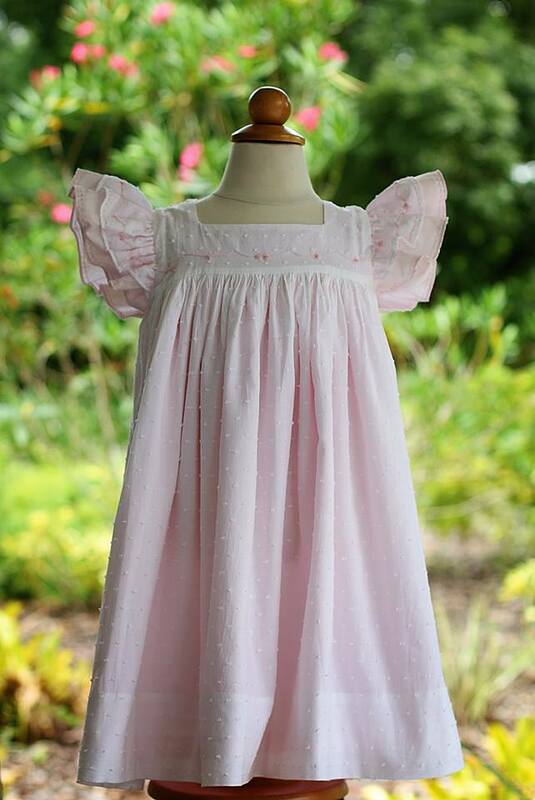 When I first saw came across their company last year, I was instantly reminded of the delicate dresses my mothers always had me in as a child (nearly everyday!). Now that I have three girls of my own, I fully understand the tradition of dressing your children properly. If I allow my girls to wear stained t-shirts and worn out shoes to a friend’s house, I’m not showing as much respect as I can if I take the time to dress my children neatly and suitable for the occasion. It’s similar to how you would show up to a new job or an interview dressed in your best. As a mother, my job is to do my very best in teaching my children these same standards. And it starts when they are young! The Tulip Dress and the Madeline Dress. Photo: Megan Mueller-Weaver. Dressing my children this way certainly comes with an added bonus: it really does aid in the manners department! I have found that it is easier to teach (and expect) proper manners from them if they are dressed in crisp, neat clothes. Not that they are perfect (far from it! ), it’s just that they rise to the occasion a little bit better. Just as I tend to sit up straighter when I am dressed a certain way! Of course, my children wear warm up suits and casual clothes, but what I love about The Proper Peony is that their clothes are meant for your child to wear and enjoy. They are not to be pushed to the back of the closet to be brought out only for special occasions. 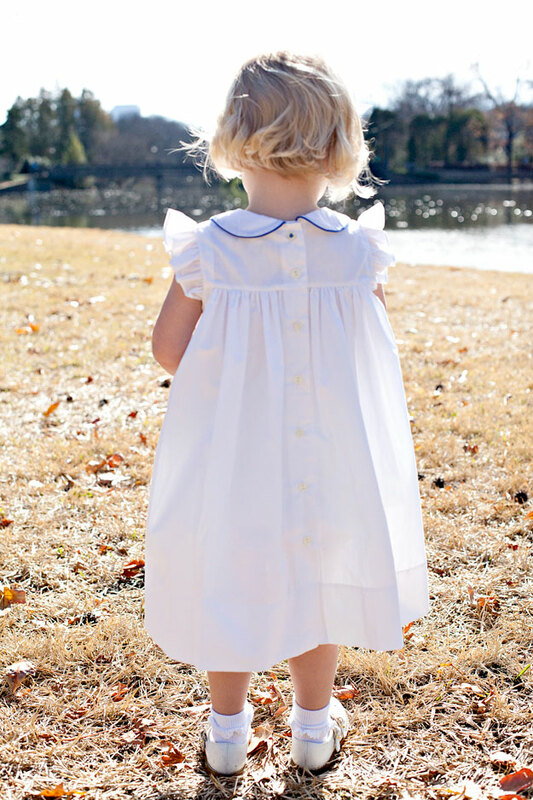 The Proper Peony’s dresses will take your child from a lunch date with their granddaddy to the park later in the afternoon. The Proper Peony has certainly touched a nerve. Within just a year of starting their line, their Spring line is in over 90 stores across the country. Amazing! You can find a list of these stores on their website here. The Tulip bubble is available in white and blue. 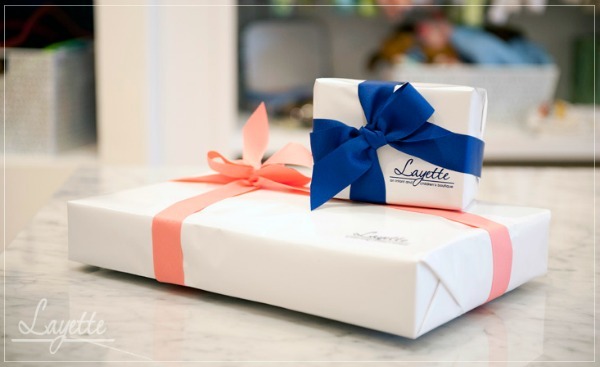 One of these stores that I just have to mention is Layette here in Dallas. 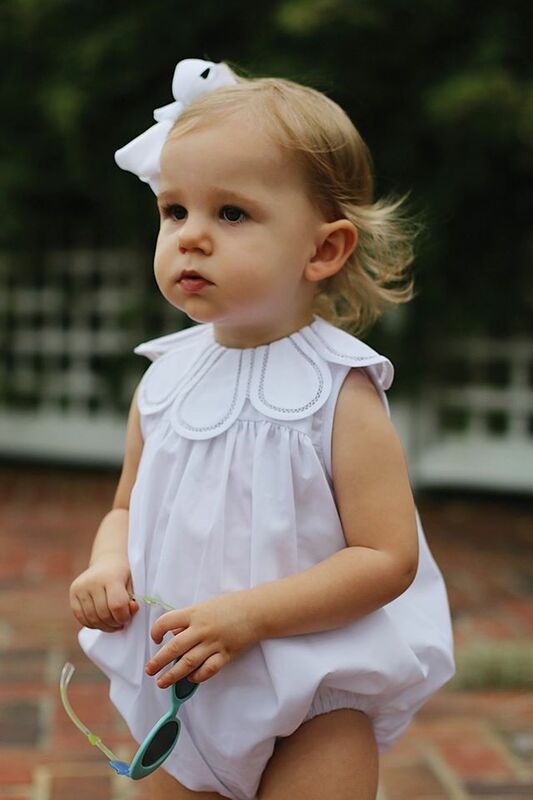 I love Layette because they carry the most beautiful children’s clothes, yet they are always so lovely and gracious (not like some stores where you feel like they are judging your children’s attire when you walk in – I’ve been to many of those across the country!). Layette also has adorable blankets and bibs for baby gifts as well as the softest and sweetest stuffed animals that I like to pair with my baby book gifts. They are so friendly and helpful – whether you are in the market for an Easter dress or just diaper covers. And they wrap beautifully, too (which you know I love!). 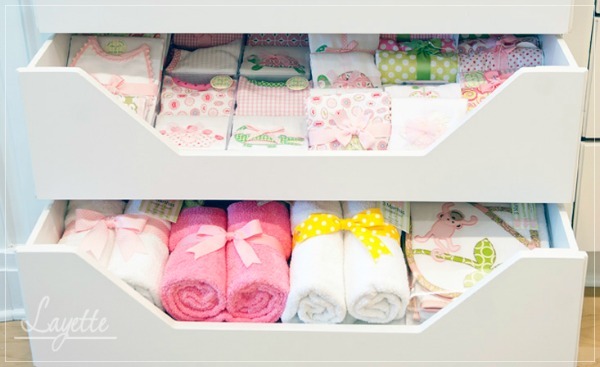 A store with beautiful gift-wrapping makes last minute baby gifts so much easier, don’t you think? 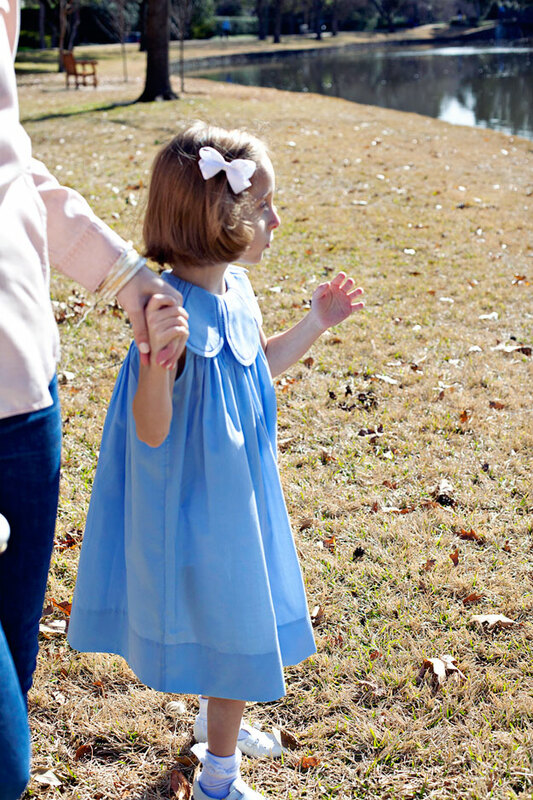 If you are always hunting for appropriate children’s clothing and live in Dallas or visit here (like I know a lot of my Little Rock and Memphis friends do!) make sure you pay them a visit. As for The Proper Peony, their dresses go up to a size 6X and their Spring line is arriving in stores now! Let me know what you think of this beautiful line and if you have or plan to buy any of The Proper Peony dresses? Comment below. And please “Share” on Facebook to tell your friends, daughters, and sisters about this lovely line! I just found your blog and LOVE it! 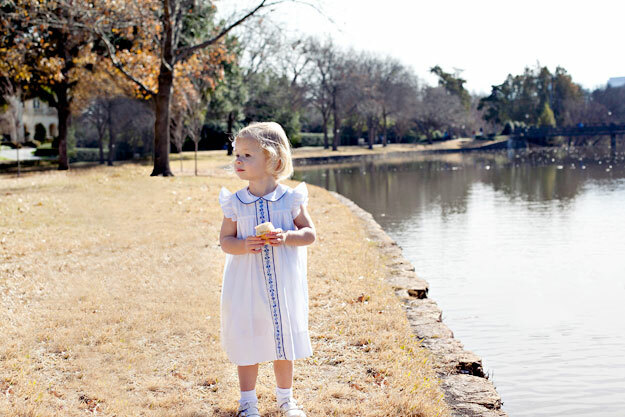 I live in Houston, but my in laws live in Dallas and Layette is a must every time we are up there! I just had to agree with you about how wonderful everyone is there. They always are so sweet to my kids who are 1 and 4 and can be crazy because shopping isn’t their favorite. I wish we had a Layette in Houston!! Thank you so much for commenting and sharing this! I am glad you found DoSayGive – please share with your Houston friends! Becca, we just moved to Houston from. I am having trouble finding places to shop for my three (2 girls, 6 and 3, and 1 yr old boy). Especially for traditional shoes! Any suggestions? Becca, one more thing: I just received a comment from a mom of three who just moved to Houston. She asked you for good clothing store recommendations (for children)? Thanks! I couldn’t agree more! I wish I had a little girl. It’s a bit easier with girls than it is boys. Suggestions on lines to scout for baby and growing boys? Thanks! I know it’s so hard with boys! Depending on how old your boys are – http://www.alicekathleen.com has very traditional but not smocked clothing for boys. For non babies, Florence Eiseman has a line just for boys called T.F. Laurence on http://www.florennceeiseman.com for 2-7 year olds that is great for sporty-type clothes. I also like some stuff from Crew Cuts (from J. Crew) and the usual trunk show type companies but many of them you can order online: Kellys Kids, Shirimp and Grits, Kate and Libby, etc. Please share any good ones you love! Thank you for commenting.